Heavy Duty Rotary Self Priming Barrel Pump which can quickly and easily transfers gas, kerosene, light oil and other non-corrosive liquids from barrels, tanks, and oil drums. 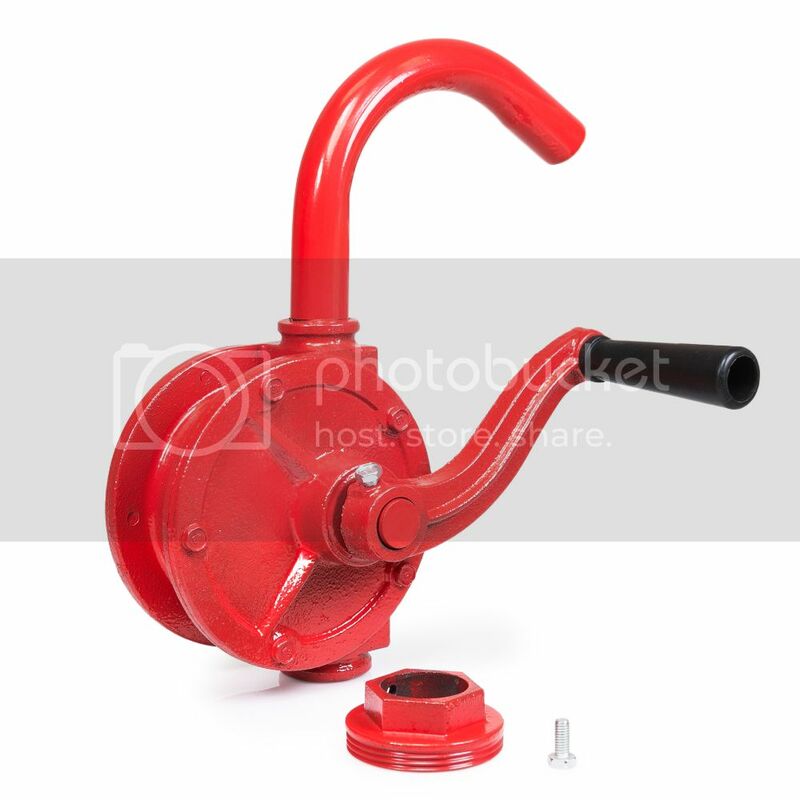 Rotary hand pump is an easy to use hand-operated rotary vane pump. It can work as a suction or delivery pump. 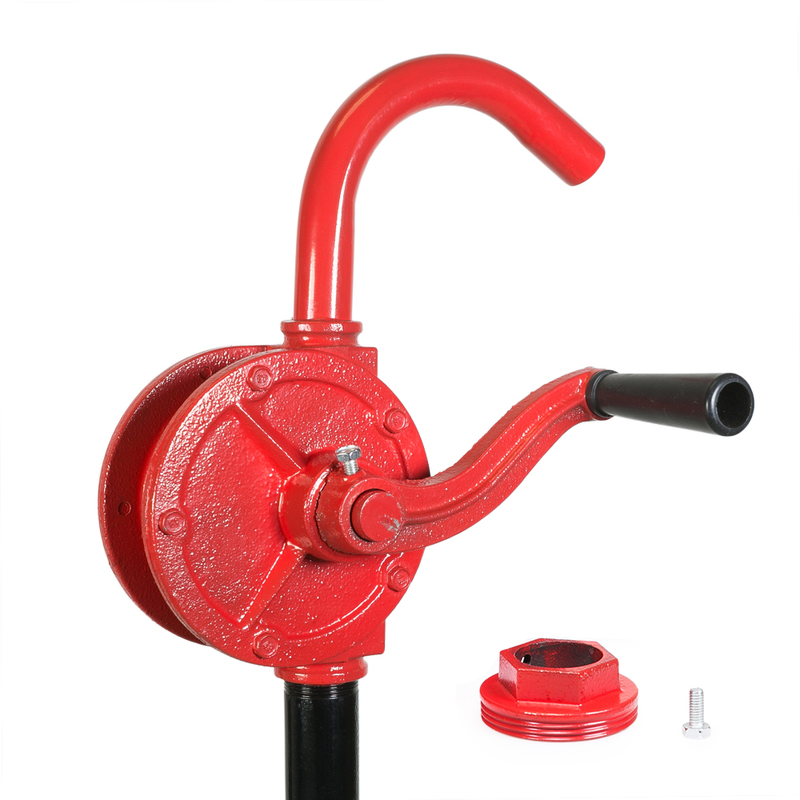 This Cast Aluminum Heavy-Duty Rotary Drum Pump provides smooth, continuous transfer of medium viscosity liquids, as well as oil, gasoline and diesel fuel. Improved seal keeps water out. Built-in check valve and strainer. 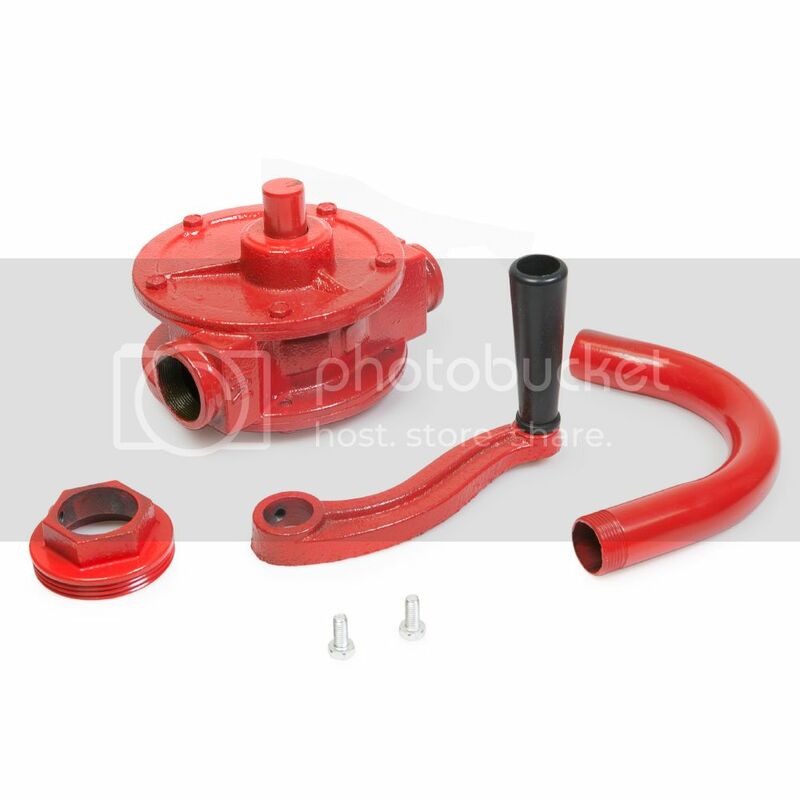 Pump easily mounts to a standard drum with 2in. NPT. Anti-siphoning device, hose with static wire and a 22in. to 40in. telescoping suction pipe. Padlockable pump can be set up for reverse flow and is adaptable for drums, kegs or storage tanks. 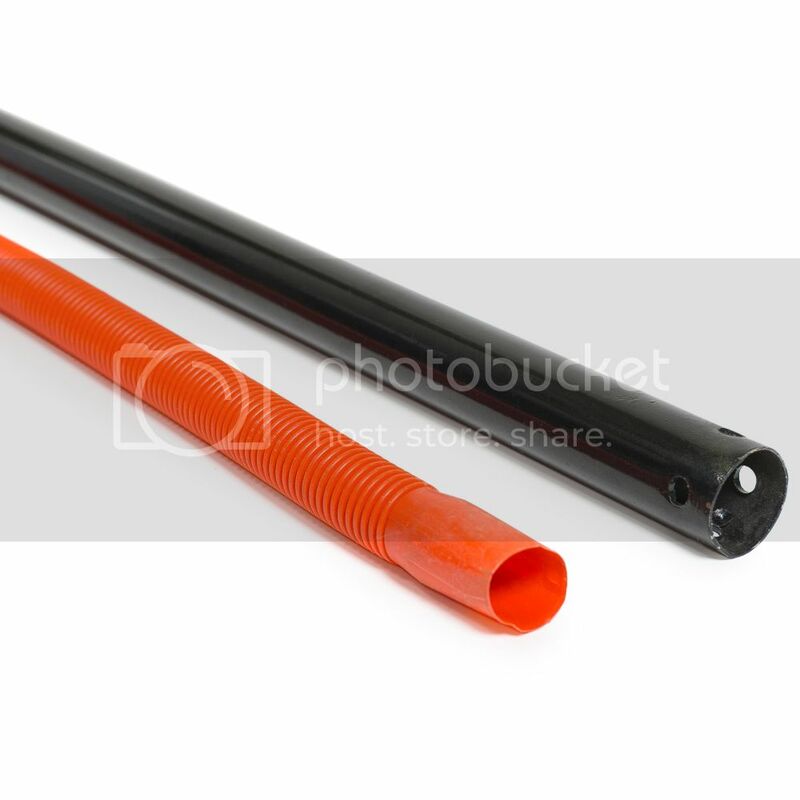 Hose Length: 3/4" x 8 ft.